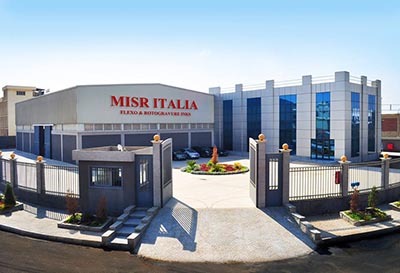 Misr Italia is a leading joint venture Italian- Egyptian company manufacturing of Flexo & Rotogravure Printing Inks. Misr Italia is a leading Italian – Egyptian manufacture of flexo and Rotogravure printing inks. For more than 15 years Misr Italia has been supporting the industrial sector of inks in Egypt through its high Italian standard quality. Moreover, Misr Italia has expanded its activity in the market not only locally but globally too. Misr Italia has a large technical knowledge in printing inks and is willing to continue its evolution in this business to serve and meet it’s customer’s expectations.